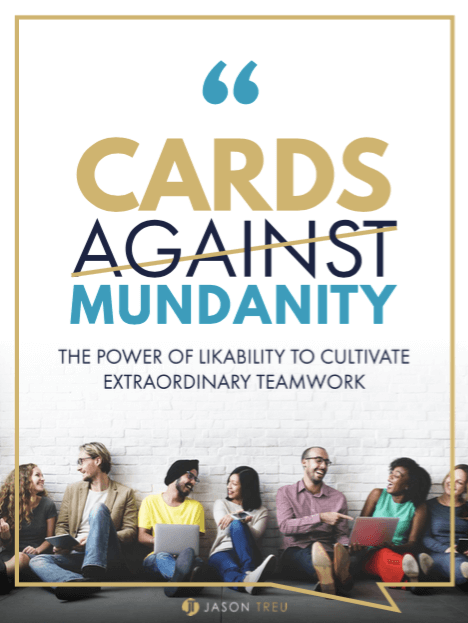 Dozens of companies are using CardsAgainstMundanity.com to supercharge their Sales Kickoffs. It’s the ultimate team building game to increase performance, engagement and teamwork. Download the game for free (takes 5 minutes to set up) and see what companies such as Amazon, Google, Southwest Airlines, Gillette, Ernst & Young, and many others are experiencing.